In 1907, Kate Barnard, a native of Oklahoma, became the first woman to win a statewide elected office in the United States. She held the office of Commissioner of Charities and Corrections for two terms. 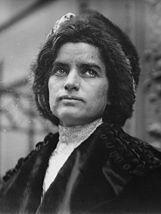 She was a key figure in the enactment of a compulsory education law providing for state payments to widows dependent on their children's earnings, of legislation implementing the constitutional ban on child labor, of laws aimed at unsafe working conditions and the blacklisting of union men. Adopting a proposal from Commissioner Linda Edmondson, the Oklahoma Commission on the Status of Women created the Kate Barnard Award in 1998 to honor out-standing women in public service in Oklahoma. Nominees are from the ranks of elected or appointed salaried public officials in Oklahoma. Melissa McLawhorn Houston serves the State of Oklahoma as Commissioner of Labor. Houston is an experienced administrator with extensive knowledge of state government and considerable experience in state agency operational management, public policy, legislative process, and budgeting. The Commissioner of Labor shares the responsibility of protecting the health, safety, and welfare of the citizens of Oklahoma. The Oklahoma Department of Labor enforces statutes relating to wage and hour; child labor; asbestos; licensing; alternative fuels; amusement rides; boilers; welders; alarm and locksmith; elevator inspections; and safety and health in the workplace (OSHA/PEOSH). She was appointed to office by Oklahoma Governor Mary Fallin on November 20th, 2015. Vice Chairman Capps has been an elected official of the Citizen Potawatomi Nation since the late 1980s. She was elected Vice Chairman of CPN in 1989 and continues to serve in that capacity. She is also a tribal administrator, helping oversee hundreds of employees. Professionally, she works at the Gordon Cooper Technology Center. She was a Title IV Indian Education director in the 1970s, she worked as a bid assistance coordinator for GCTC during the 1980s and 90s and she has served as an administrator and elected official of Citizen Potawatomi Nation since the late 1980s. In 2010, she was inducted into the Gordon Cooper Technology Center Hall of Fame. Commissioner Johnson has been an elected official of the Oklahoma County Commission since 2007. She represents District One which stretches from far Northeastern Oklahoma County to just west of Downtown Oklahoma City. Before her election as County Commissioner, Johnson represented Ward 7 on the Oklahoma City Council for fourteen years. She was the first African American woman elected to the OKC City Council. While on the City Council, she focused on economic development and historical recognition for the Northeast Side of OKC. . During her time on the council, Oklahoma City passed the first MAPS which included the Canal and the Bricktown Ballpark, among other things. 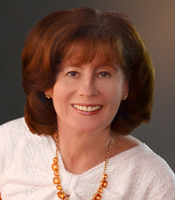 Cindy Rosenthal was elected mayor of Norman in 2007 after serving three years as the council member from Ward 4. She is Norman’s first popularly elected woman mayor. As Mayor, she is Norman's representative to the Association of Central Oklahoma Governments. Mayor Rosenthal won the 2009 Distinguished Public Service Award, which is given annually by the Oklahoma Chapter of the American Society for Public Administration to a public servant whose career exhibits the highest standards of excellence, dedication and accomplishment. She has been nominated twice as one of 50 women making a difference in Oklahoma and was named the Journal Record's Woman of the Year in 2010. Mayor Rosenthal has championed environmental awareness and energy efficiency throughout the city, spearheaded Norman’s inclusive community initiative, highlighted the need for transportation options and more walkable neighborhoods, sponsored regular walks to promote healthy life styles in the community, and been an advocate for the arts and culture in downtown Norman. A resident of Norman since 1985, Mayor Rosenthal is director and curator of the Carl Albert Congressional Research and Studies Center at the University of Oklahoma and a professor of political science. 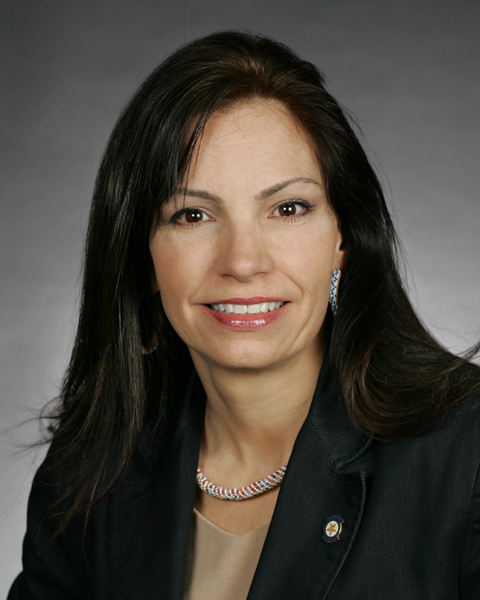 Representative Lee Denney is the second woman in Oklahoma to hold the position of Speaker Pro Tempore In the Oklahoma House of Representatives. She was appointed to that position during the 55th Oklahoma Legislature. Lee Denney is a native of Payne County having been raised in Cushing Oklahoma. Denney graduated from Cushing High School, and received her degree in Agricultural Economics from Oklahoma State University. She received her Doctorate of Veterinary Medicine from Oklahoma State University. She Co-owned Veterinary Medical Associates, Inc. in Oklahoma from 1979 – 2012. Representative Pam Peterson is the first woman in Oklahoma to hold the position of Majority Floor Leader in the Oklahoma House of Representatives. She was appointed to that position during the 54th Oklahoma Legislature. Elected in 2005, Peterson has authored legislative policy related to women’s issues, children’s protection, family violence prevention, and controlling human trafficking. She earned the Oklahoma Commission on the Status of Women’s 2012 Guardian Award for this legislation. From 2008-2012, she chaired the House Human Services Committee. Terri White was appointed as Commissioner in 2007. She is a passionate advocate for individuals experiencing mental illness and addiction. Under her leadership the agency has become nationally known for its children’s behavioral health services; community�? ?based treatment programs; technological innovations such as “telepsychiatry;” and the integration of behavioral health care into primary healthcare settings. In addition to her career endeavors, White has been recognized by numerous civic organizations for her outstanding leadership abilities and tireless efforts to improve the quality of life for Oklahomans living with a mental or addictive disorder. In 2005, Lisa Billy was elected to the Oklahoma House of Representatives in District 42. She is the first Native American and woman elected from this district. She is a strong advocate for women and is especially interested in the issues of incarceration and its impact on families, as well as improving education among girls and young women. She is an Assistant Majority Whip, is the chair of the Appropriations and Budget for Higher Education Committee, and serves on several other committees, including appropriations and budget committees, energy and aerospace, and public safety committees. She previously served on the International, Federal and Tribal Relations Committee and General Government/Transportation, Human Services and Children & Families committees. Natalie Shirley, a lawyer and businesswoman, is the first female president in the OSU System, which includes OSU-OKC, OSU-Stillwater, OSU-Tulsa, OSU Center for Health Sciences in Tulsa, and OSU-Institute of Technology in Okmulgee. As President of OSU-OKC, she advocates for and works to build an educated workforce. From 2007-2011, Shirley served in Governor. Brad Henry’s Cabinet as Oklahoma’s Secretary of Commerce and Tourism. In this position, she was the liaison between the governor, five major state agencies and more than 30 smaller agencies, authorities and institutions. During this time, Shirley also served as the Executive Director of the Department of Commerce, the state’s leading economic development agency. Sandy Garrett is serving her fifth consecutive term in the elected office of State Superintendent of Public Instruction. 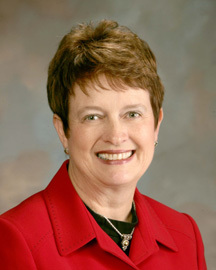 She is the only woman in Oklahoma history to hold this constitutional post, which includes chair of both the State Board of Education and the State Board of Career and Technology Education and membership on the State Board of Equalization, the Board of Reagents of the Regional University System of Oklahoma, and the School Land Commission, among numerous other statutory roles, both state and national. April Sellers White was elected Associate District Judge for Creek County in 1986 and has served in that capacity through seven elections, two of them contested. Her judicial responsibilities as Associate District Judge since 1987 currently includes felony trials, divorces, adoptions, child support enforcement, protective orders, weddings and traffic dockets. Kim Holland is the first woman elected Insurance Commissioner in Oklahoma State history. She was elected on November 7, 2006 after having been appointed by Governor Brad Henry in January 2005 to fill an unexpired term. In her career as Insurance Commissioner, Commissioner Holland restored the integrity of the Insurance Department by bringing honesty and her vision of creating a completely transparent department for all Oklahomans. A business woman and active civic volunteer before becoming Insurance Commissioner, Commissioner Holland has a proven track record of consumer advocacy over more than two decades as an insurance professional. Mary Fallin has been making history in Oklahoma since 1994 when she was elected the state’s first woman and first Republican lieutenant governor. As lieutenant governor, Fallin pursued an aggressive agenda focusing on economic development, education, health care, and government reform. As lieutenant governor, Fallin served as the president of the Senate as well as on 10 boards and commissions that impact the quality of life and business in Oklahoma, including the Tourism and Recreation Commission, State Board of Equalization, Oklahoma Land Commission, and the Film Advisory Commission. Jari Askins was sworn in as Oklahoma’s 15th lieutenant governor in January 2007, giving her the rare distinction of serving in all three branches of government: judicial, legislative, and executive. She is the first Democratic woman to serve as lieutenant governor. Askins was elected to the Oklahoma House of Representatives in 1994. 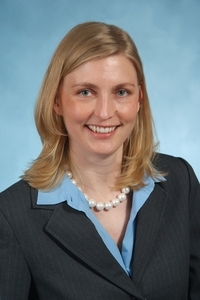 As a freshman legislator, she was named vice chair of the Criminal Justice Committee. House Speaker Glen Johnson named her co-chair of the Domestic Relations Recodification Committee, a joint committee of legislators, attorneys, judges, and law professors to review and recommend revisions for Oklahoma’s divorce laws and procedures. 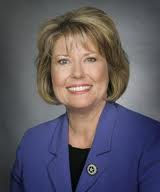 Senator Angela Monson has been a member of the Oklahoma State Senate since 1993. She currently serves as First Assistant Majority Floor Leader and previously served as Chairperson of the Finance Committee. Senator Monson served as a member of the Oklahoma House of Representatives from November 1990 until her election to the State Senate. Senator Monson serves as immediate past president of the National Conference of State Legislatures. She previously served as president and a member of the Executive Committee of the NCSL, and as chair of the NCSL Health Committee. Senator Monson is an Executive Committee member of the National Black Caucus of State Legislatures. Ms. Williams was elected to the Oklahoma House of Representatives in 1980 and served through 1988 at which time she was elected to the Oklahoma Senate serving through 2004. She represented House District 70 and held the Senate District 33 seat. She was a member of the Democratic Party. Ms. Williams was in the legislature 24 years, the longest serving woman. 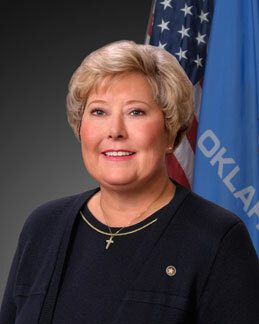 Vicki Miles-LaGrange was elected to the Oklahoma Senate in 1986 and served through 1993. She was the first African - American female elected in Senate District 48, where she was a member of the Democratic Party. She is a U.S. District Judge and the first woman U.S. Attorney in Oklahoma and among the first in the nation. She was inducted into the Oklahoma African - American Hall of Fame and is a recipient of the Oklahoma Bar Association's "Woman Trailblazer " Award.